iMessage on Mac and iPhone/iPad keeps track of all the messages that are sent and received on the device. This is a great feature as it provides you detailed record of conversations. However, you may want to delete your iMessage history to free up some space or get rid of the old conversations. There are several ways to do this. Part 1. How to Delete iMessage History on Mac? Method 1: Disable "Save history when conversations are closed"
Part 2. How to Delete iMessage History on iPhone/iPad? How to Delete iMessage History on Mac? 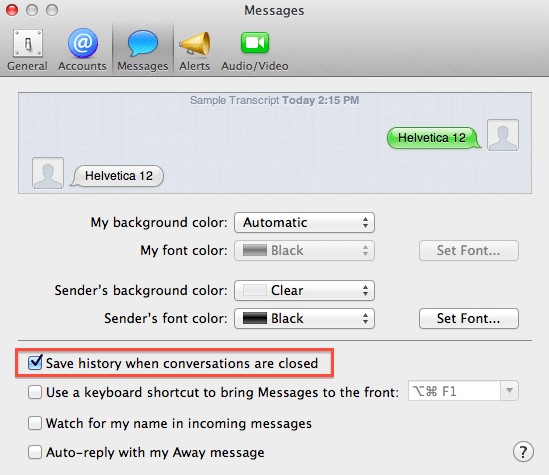 Disable "Save history when conversations are closed"
Choose Preferences from the menu bar of Messages app. Navigate to General and uncheck the option called ‘Save history when conversations are closed’. Once you uncheck that option, your previous iMessage chats will disappear the next time you launch Messages on your Mac. First, quit the iMessage app on your Mac. Now type ~/Library/Messages/ in the dialog box. Once the specified folder opens, you will need to find three certain files and delete them. Those files include chat.db-wal, chat.db-shm, and chat.db. When you relaunch the iMessages, you will find that none of your previously existing conversations contain any data. How to Delete iMessage History on iPhone/iPad? 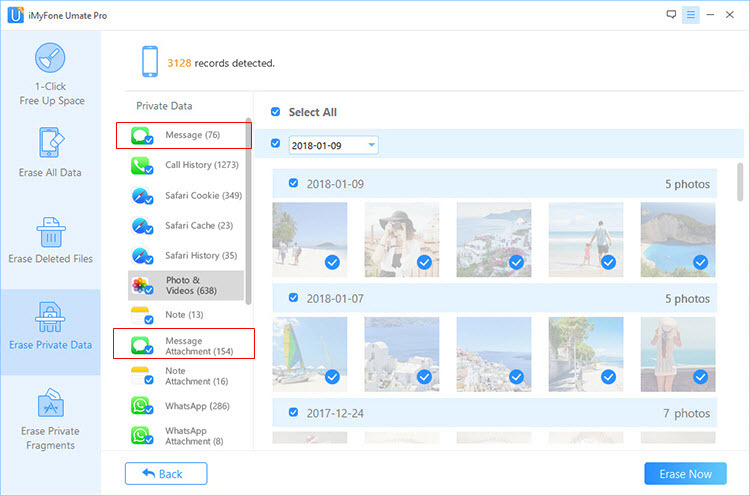 If you are looking for a quick way to delete iMessage history on your iPhone/iPad then it is highly recommended that you use iMyFone Umate Pro. iMyFone Umate Pro has been designed to facilitate iOS users when it comes to permanently erasing any type of content from their iPhone/iPad. With this software, you can delete your iMessages separately as well as all at once from your iPhone/iPad. The software will also allow you to preview your messages before you permanently erase them. Permanently erase all iMessages history in bulk from your iOS devices. Scan the previously deleted iMessages history from your iPhone/iPad and erase them permanently. You can preview your messages before erasing them. It will help you prevent accidental deletion of important messages that you want to keep. 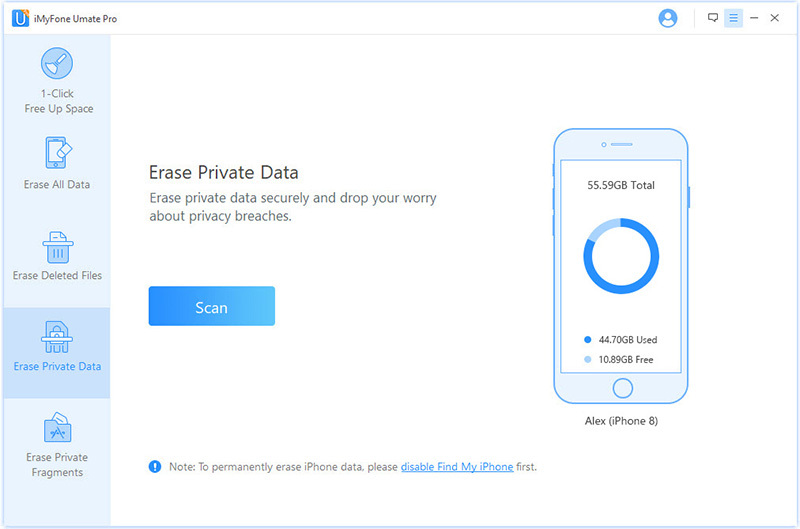 Apart from iMessages, Umate Pro can erase all kinds of data from your iPhone/iPad. This includes photos, videos, music, notes, call logs, contacts, and more. Free up space on your iPhone/iPad and boost its performance with 1-Click Free Up Space feature. Step 1. Launch Umate Pro and connect your iPhone. Step 2. Select Erase Private Data mode from its home interface and click on the Scan button. Step 3. Once the scan is completed, click on Message and then preview and select the message that you wish to delete. Alternatively, you can select all of them if you wish to delete your entire iMessages history. Click on Erase Now. A standard method to delete your iMessages is to simply delete them on the Message app on your iPhone/iPad. This method to erase iMessages is different than erasing them on Mac. Launch Messages app on your iPhone/iPad. Now find and tap the conversation that contains the messages that you wish to delete. The list of messages will appear. Now tap and hold the message that you want to delete until a pop-up menu appears. Tap more on that pop-up menu. Now tap on the circle that is shown in front of the message that you wish to delete. Alternatively, you can also tap Delete All if you wish to delete all the messages in the conversation. After that, select the delete button (it will be shown as a trash can icon). Now tap Delete Message shown on the pop-up to confirm your action. The message will be deleted. 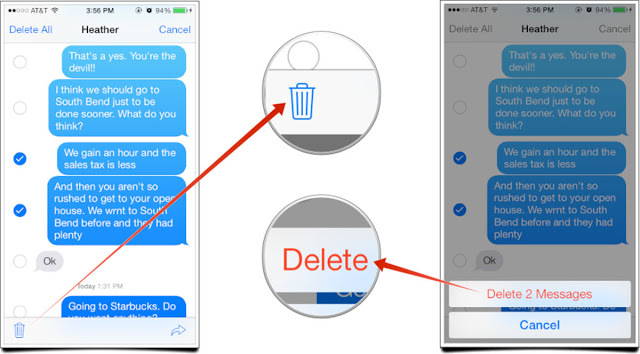 You cannot select and delete iMessages conversations in bulk via this method. Messages deleted via this method can be recovered via data recovery software. 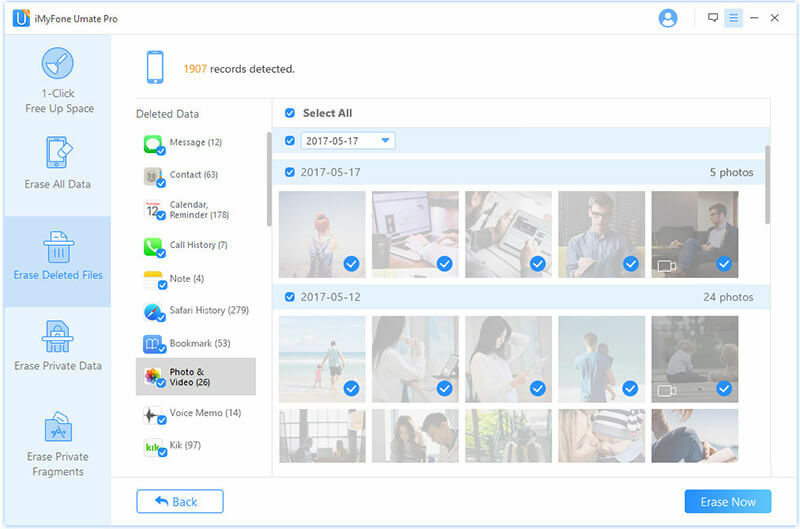 It is recommended that you use Erase Deleted Files mode of iMyFone Umate Pro to make sure that your deleted messages cannot be recovered.